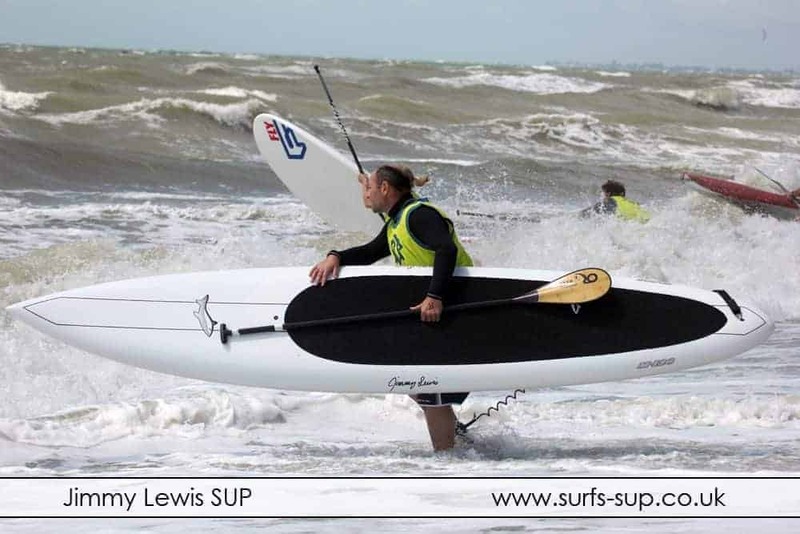 Jimmy Lewis M12 SUP – SUP, Windsurfing UK. 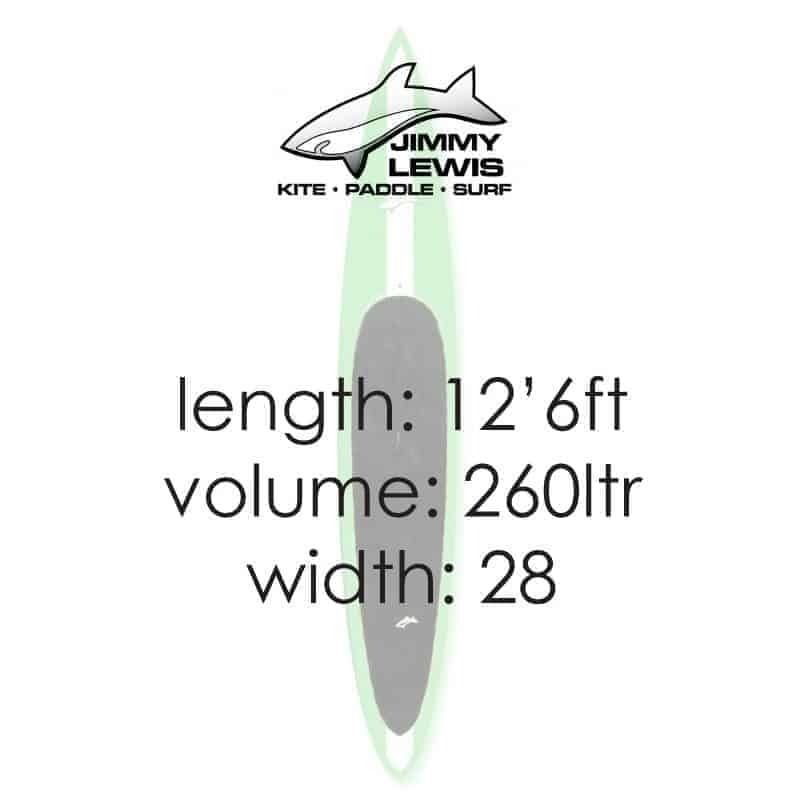 Jimmy Lewis M12 downwind board was shaped for ladies as it was more manageable but has shown itself to work really well in more close spaced conditions for men too. 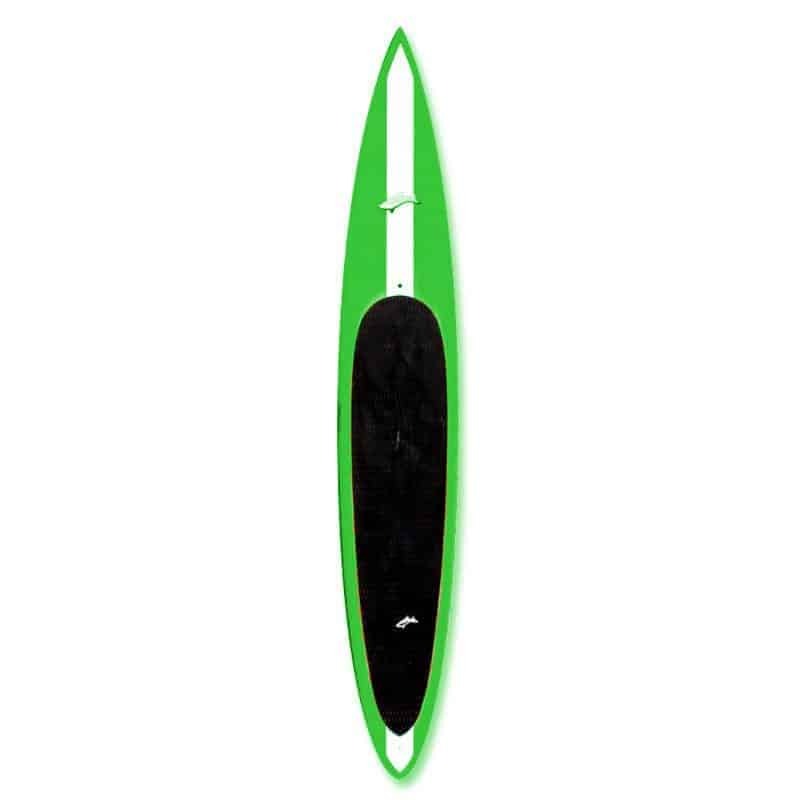 The Jimmy Lewis M12 is an all out downwind and open water standup paddleboard built to ride bumps. 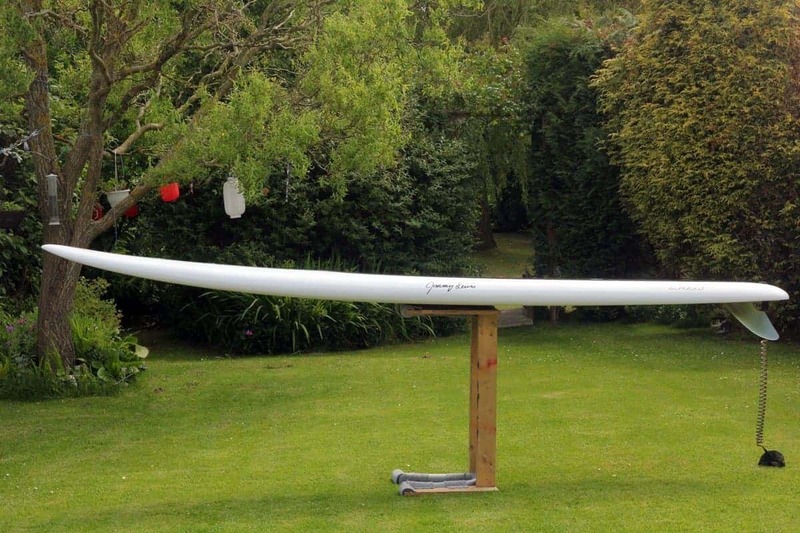 At 12’6 it is the Jimmy Lewis M12 perfect length for smaller paddlers and ladies who can sometimes find the 14ft boards a bit of a handful in awkward cross waves and wind. This type of board is so exciting to ride and in rougher open water conditions delivers more wave oriented performance than a race board. Another thing to consider is that this type of board can be used for surfing so you can sit way out back and grab the waves while they are still small bumps and enjoy some really long rides. Like it’s big brother Jimmy Lewis M14, the Jimmy Lewis M12 is built using the Jimmy Lewis signature construction which means it is super tough. 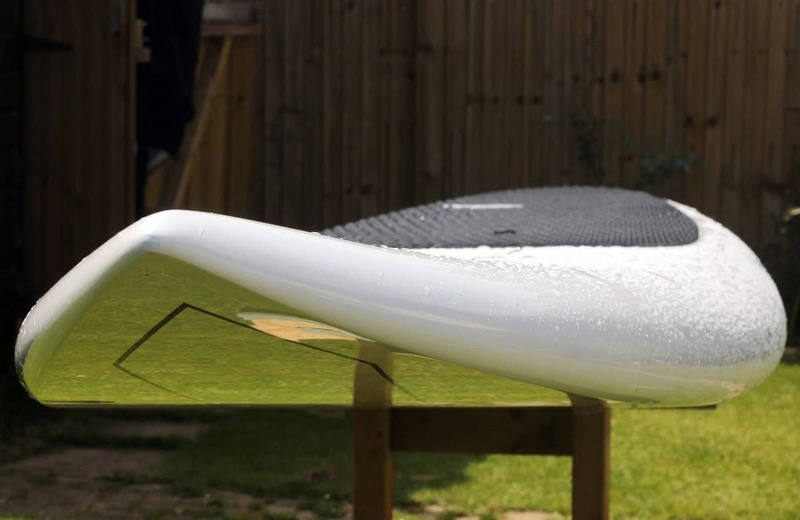 The signature construction is glass, not carbon and the tiny extra weight is actually beneficial helping to pin the board down and give greater control for lighter riders in windier conditions. The underside of the board is mainly flat and the rails are pretty sharp a long way forward giving good release and speed. There is a really tidy rocker line that gives this board a really nice surfy feel and makes it super easy to pop the nose up on bigger drops. My own time on this board has seen it performing in 3ft windblown chop to 6inch rolling bumps and in all conditions in was comfortable, stable and quick. Compared to the M14 the M12 is more nippy and manouverable when the waves are shorter wave length, but what it doesn’t deliver is as much glide for a bigger guy. That said it wasn’t designed for my weight. 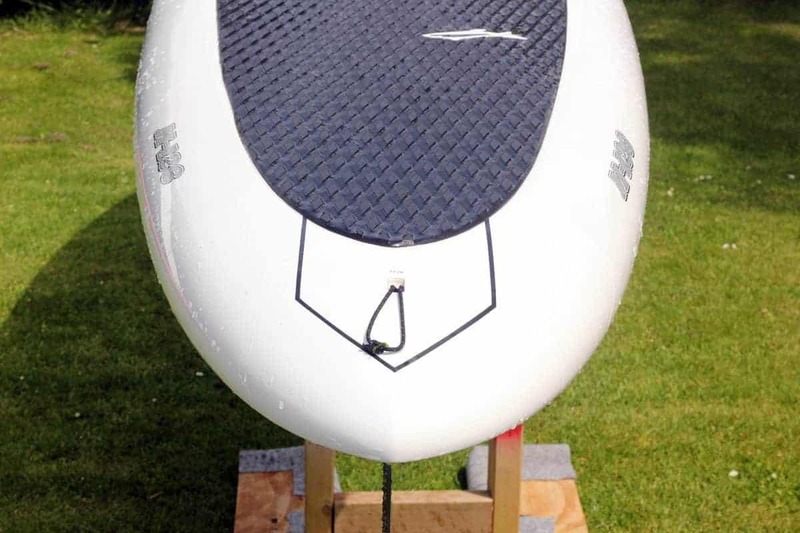 I didn’t see any real noticeable speed differences in the board when doing BOP style paddling and wave riding. It all came down to length of glide but again I am bigger than the designed for rider. The test rider I chose weighed in at 68kg and she found the board really easy to handle on land even when we had to walk into wind. On the water the reduced waterline made it easy to steer the board when riding and paddle out through the waves. 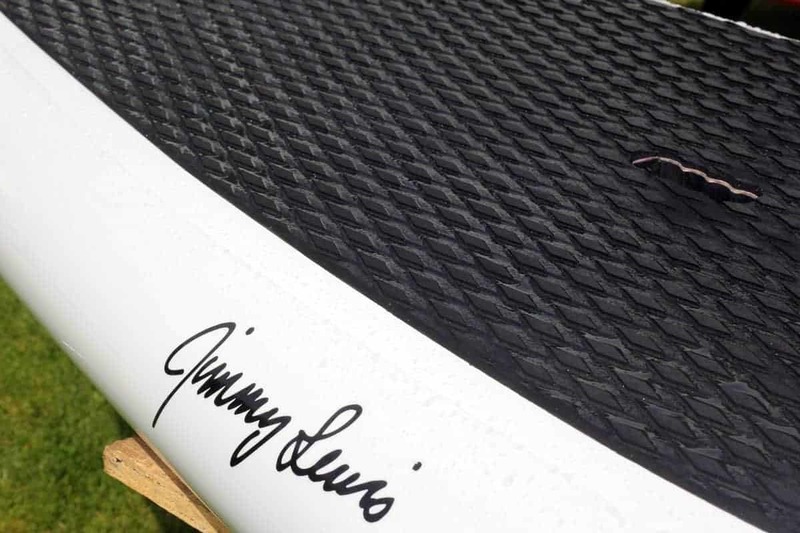 For a full review of the Jimmy Lewis M12 click here.